Chemical Mediation of Coevolution explores the degree to which chemicals are the currency of information exchange in coevolved systems; it also reexamines existing concepts of coevolution through interpretation of chemical parameters. 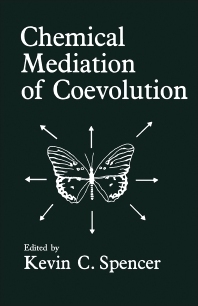 The contents of this volume are based on the ""Chemical Mediation of Coevolution"" symposium held on 14-15 August 1985 as part of the 36th annual AIBS meeting at the University of Florida. The volume contains 18 chapters majority of which address plant-chemical-insect systems. Explorations are also made into mammalian systems and into insect mimicry, as that process derives ultimately from herbivory upon plants. The data thus presented will specifically address chemistry as a factor in the establishment and maintenance of coevolution, and test coevolutionary concepts for their pertinence to chemically mediated systems. It is hoped that this collected work will provide an impetus for careful reconsideration of the possible roles played by chemistry in the establishment, maintenance, and fate of coevolutionary relationships. Chapter 4 Searching for Defensive Chemistry in the Cruciferae, or, Do Glucosinolates Always Control Interactions of Cruciferae with Their Potential Herbivores and Symbionts? No! Chapter 11 The Induced Defense Hypothesis: Does it Apply to the Population Dynamics of Insects? Chapter 13 Plant-Mediated Interactions between Seasonal Herbivores: Enough for Evolution or Coevolution? VII. Are Plant-Mammal Systems Coevolved?